In another game forum, there used to be a thread for posting art and stuff. I figured it would be nice to have one here as well. 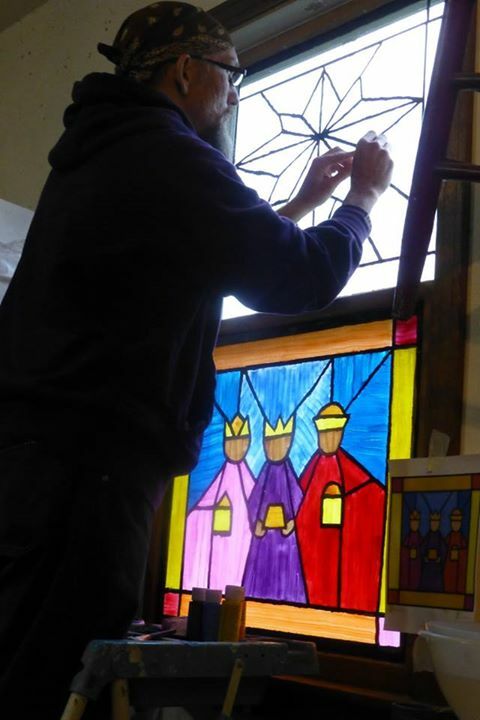 Do you do something creative? Do you draw? Make things? Compose music? Something else? If you are creative, post your stuff here! All things are welcome, as long as they aren't arousing or gory. No TerraTech relevancy required. Also, I want the focus of this to topic to be on our work, not others work. So, try to keep the posts about your work or as comments to another user's work. If you do want to post someone else's work, make sure you give them credit. As for me, I like to tie knots. Specifically, knots tied with paracord. Paracord is a type of rope that is made of nylon. It has a braided sheath, and multiple nylon yarns inside. There are many types of paracord, but I usually use 550, which has 7 strands. 550 stands for 550 pounds, so the stuff can hold a lot of weight. It's good for a survival situation, but I just like it for it's looks. 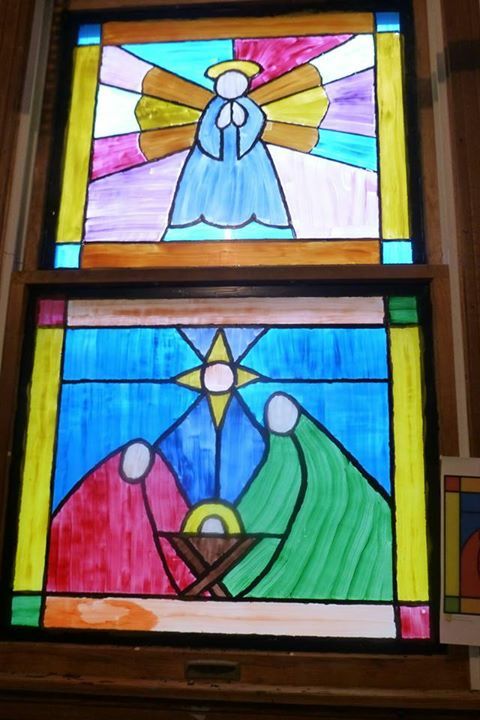 I don't have any pictures of my more recent work, so instead I will show some of my first pieces. These are both examples of a design known as the Solomon Bar. No idea why it is named that, or why it has so many other names, but this is one of the most basic designs. Each bracelet holds about 7 feet of paracord. There are tons of other pictures in the link in my signature. Might repost some of those occasionally, but I want to focus on the new things I have done. That song is a musical representation of how I feel about TT. , but mostly I just collab with developers and producers. I think for me it's more of what don't I do, ahaha! I also draw, knit, crochet, make cosplays and all sorts of stuff! Dude those are seriously cool! I've been trying to learn to weave friendship bracelet recently so I'm impressed! i guess ill add a bit from me, here is a few snaps of my recent shenanigans. I'm also in a band where I sing. Checked out the music of @KattStrike and @Jamie Very cool! I think these are a bit different than friendship bracelets. Those tend to use thin embroidery thread, where as this stuff is 5 mm thick. Some other people have made some massive bracelets with the stuff (Brett Harpt), but most bracelets are about a quarter of the size. It's really just fat macrame, but a lot of paracordists treat it like it's its own thing. I guess it is different enough to justify it. But if you are curious, there are a ton of tutorials you can find for making paracord crafts. In particular, for Youtube, I am subbed to Tying It All Together, Paracord 101, Bored? Paracord!, Paracord Guild, and The Weavers of Eternity, to name the bigger ones. 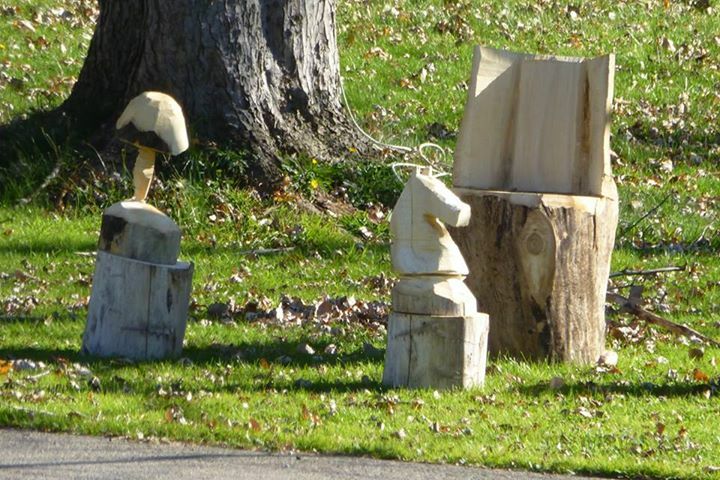 There are also plenty of picture tutorials, and I have even found a few designs myself. I make 3D Art, I guess. I use the animation software Source Filmmaker by Valve Corporation to create pictures. It's not so hard nor is it very easy. I have to move every single part from the character models to create poses. Don't forget the environment (map) I have to choose. I also have to create the lighting. Too bad the Source Engine only allows 8 lights. Not more. Source Filmmaker is a place where I can let my imagination do everything it wants. I'm happy to see that my favorite fictional characters are even as 3D models in the software with the so called Steam Workshop. I especially like to create pictures based on video games as you can see in some of them above. Even though I have not done any in a while I draw, write, cross-stitch, simple modding (obviously games), lego building, and working stories & adventures in the RPG Maker series. More recent is building structures with blocks in some of the games I play. Matching colors & contrasting the overall look. Does not matter if 2D or 3D type, as one can give an illusion of 3D even in 2D. Working with shadows & lighting, if it is part of the game. 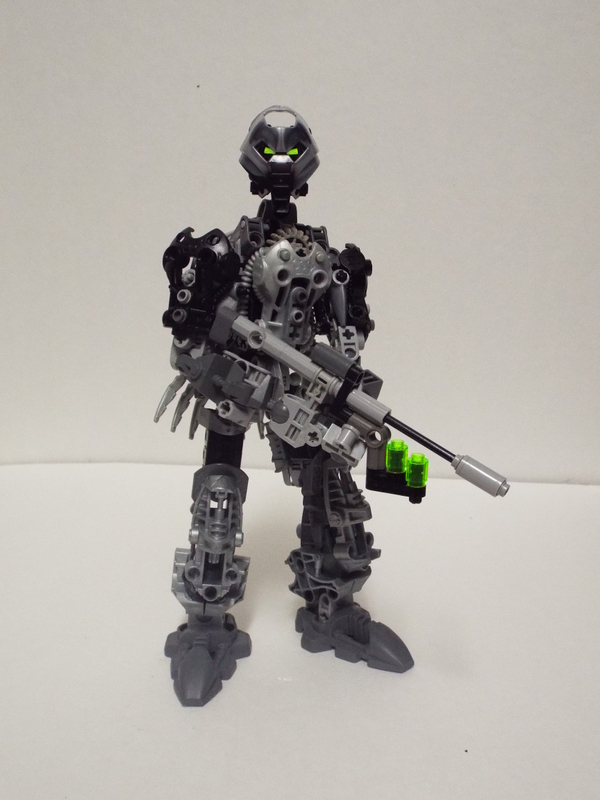 I've also done some Bionicle MOCing. I'm not an expert with it... at all... but there are some that I think are pretty good. So far, only one has had a decent picture taken of it. 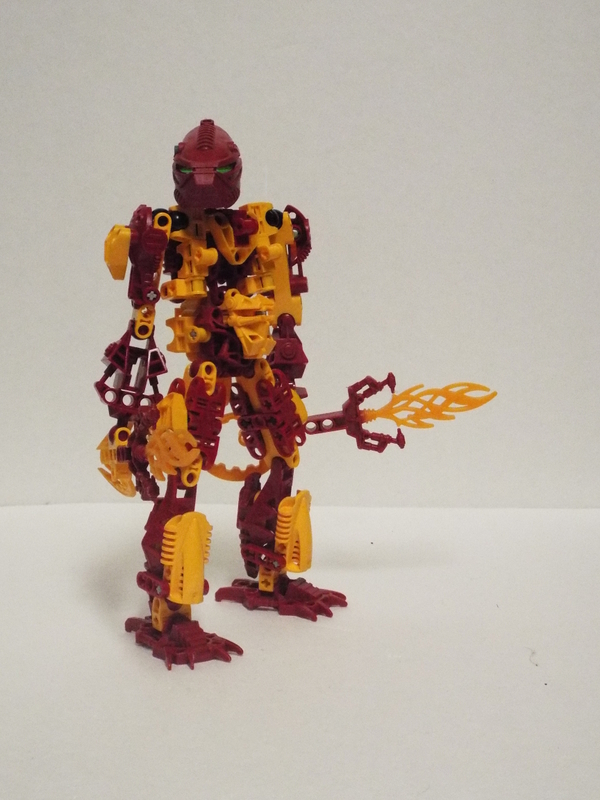 Turaga Lewa. 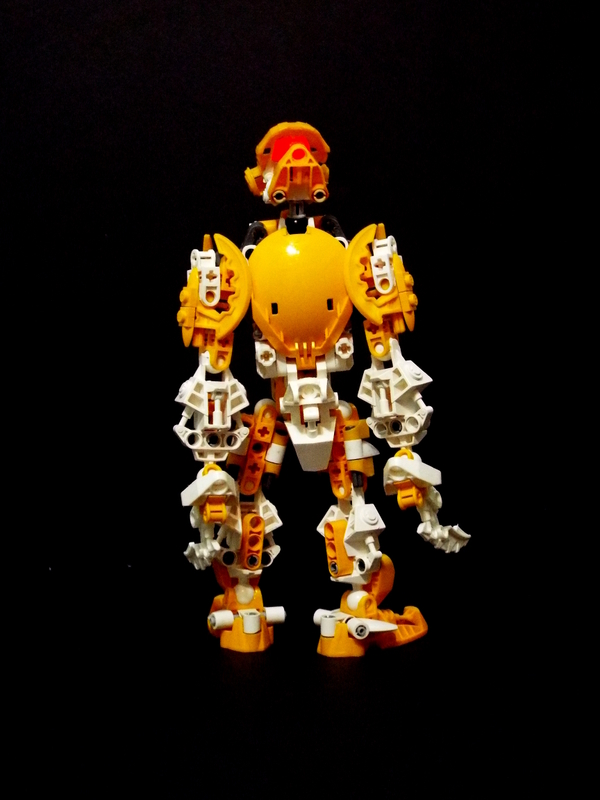 I also do some Stuff with Bionicles! 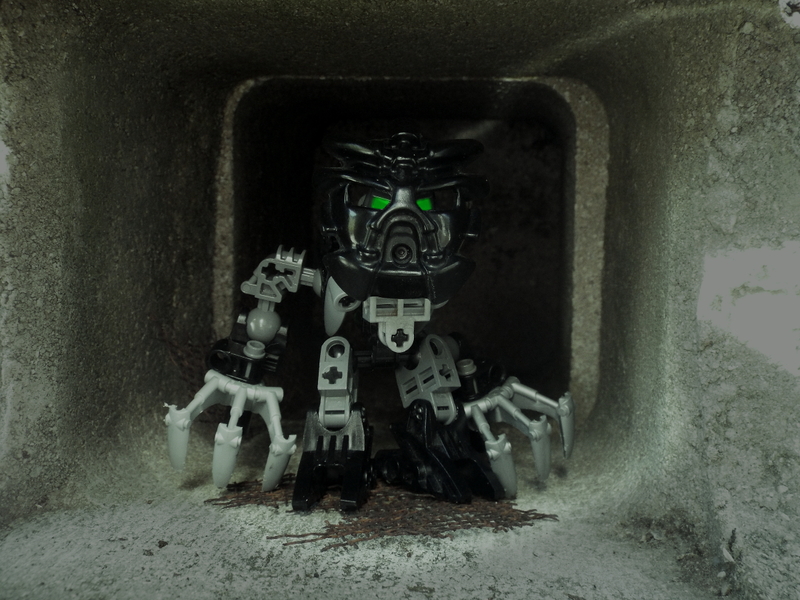 I am also trying to develop a sort of fan fiction around the Bionicle universe. They rebooted it with a completely different and kinda boring story, but they left the old story at a super abrupt end. I want to continue where they left off, and some of the characters below are part of it. 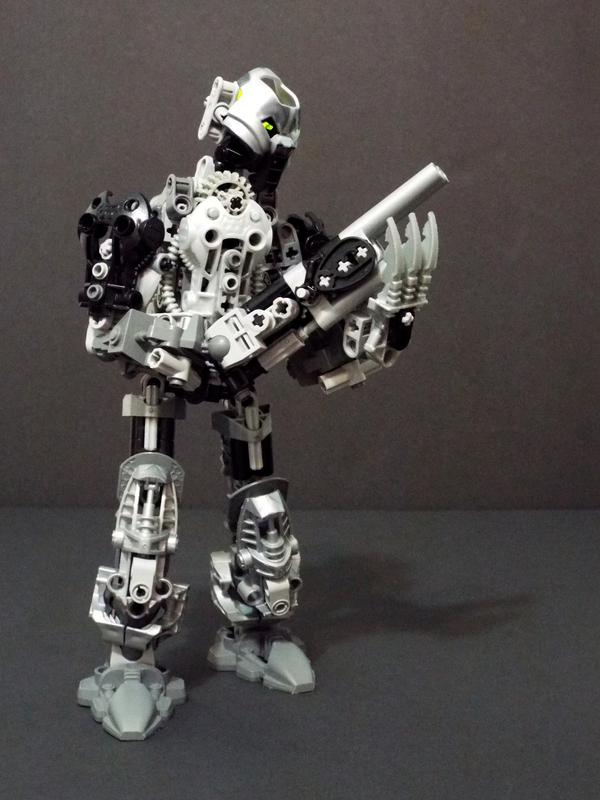 Before he became a Toa (warrior), he was an apprentice of an engineer. In his time with him, he developed new concentrated energy technology, which allowed him to create this modular rifle. It can either be a sniper, or it can have parts swapped out to become a SMG. And being a Toa of Sonics, he can silence all of his shots. 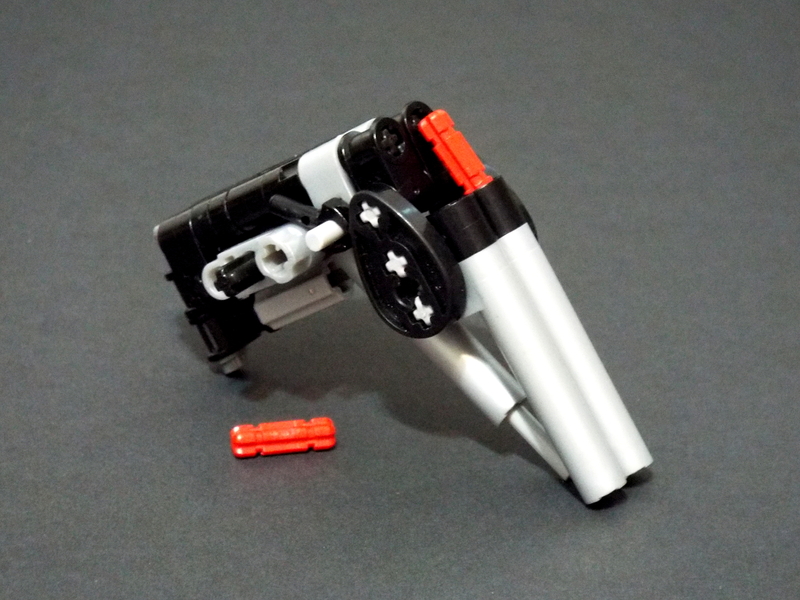 He also developed a shotgun that uses the same technology, and also created some vibrating claws for melee combat. 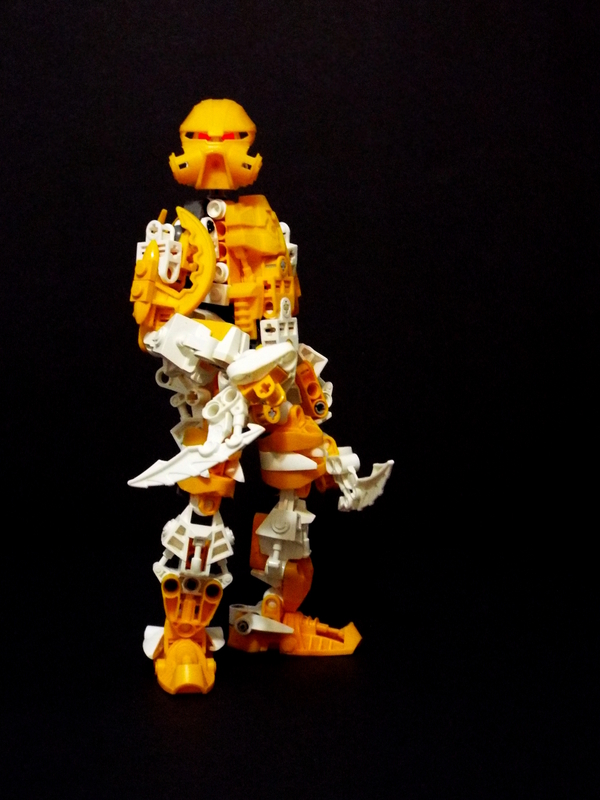 He wears a kanohi Huna, Mask of Concealment, which allows him to turn invisible for a short time. He is essentially the assassin/spy for his Toa team. 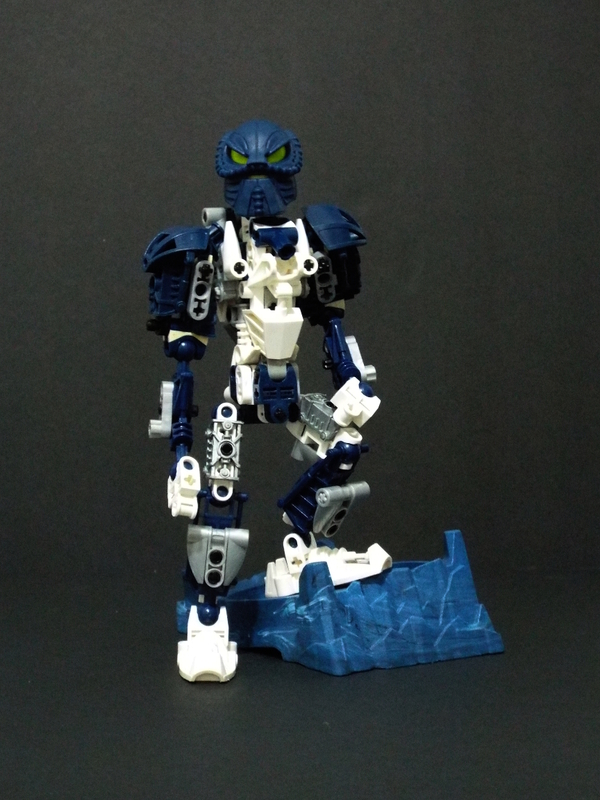 Before she became a Toa, she was a roaming weather enthusiast. None of the other Matoran (villagers) really studied the phenomena, so she took frequent trips to mountains and out to sea to study. These trips were often dangerous, and she even had to be saved a few times by Toa Gali (water). For weaponry, she uses a shield and a harpoon (added a chain after this photo). Being a Toa of Lightning, she can absorb electrical attacks with her shield, and can send them back with the harpoon. She can also raise the harpoon in the air like a lightning rod to absorb energy from stormy skies. Haven't decided on her mask power yet, but her mask is in honor of Toa Matoro (ice), who gave his life in the original story. 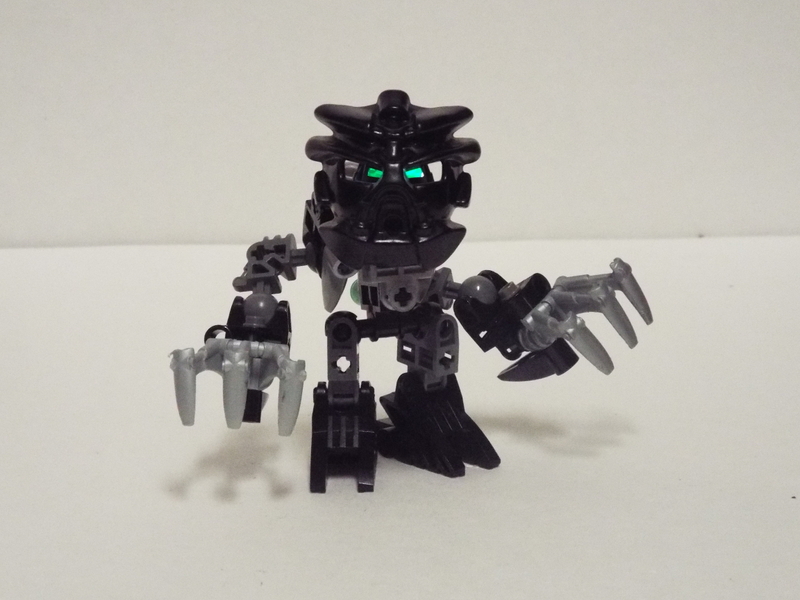 Like Turaga (elder) Lewa posted above, Onua used to be one of the Toa Nuva. 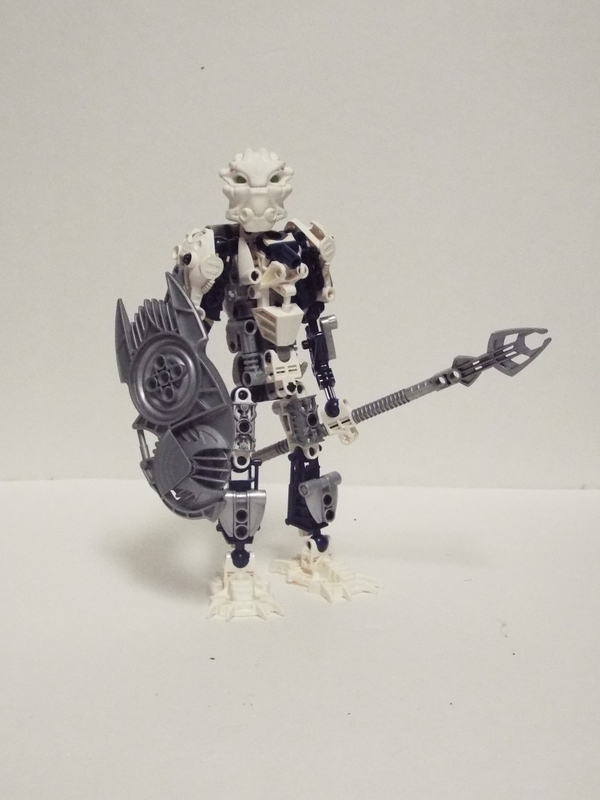 The Toa Nuva were major characters of the original story, and are basically Toa turned up to 11. The Toa of Sonics was originally an Onu-Matoran (earth), the Toa of Lightning a Ga-Matoran (water). 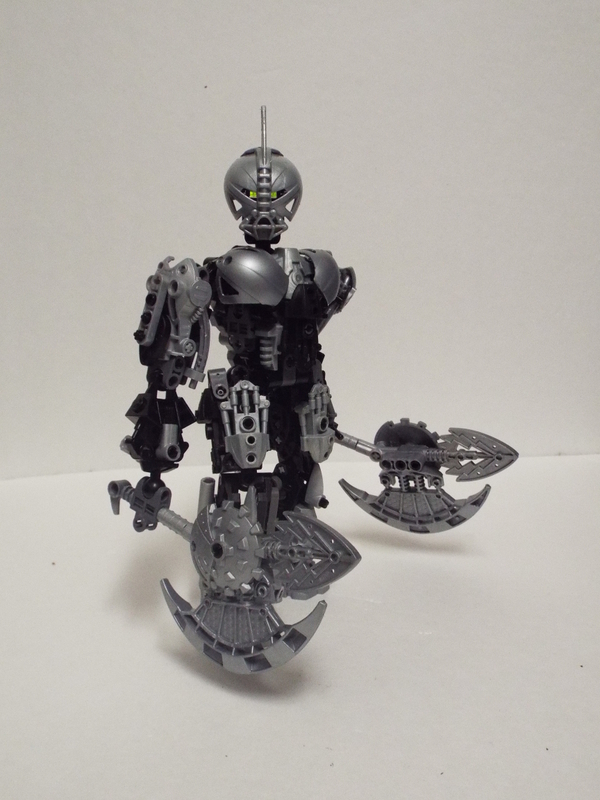 The idea is that the Toa Nuva used up their power to create the two (and soon six) above toa, diminishing them into Turaga, and the Nuva-badassery caused the Toa to get different powers than their original forms. This guy's element is iron. As such, he can create weapons at will, granted that he knows how they are shaped. His usual weapons are these axes, and also a giant sword. I don't have much of a backstory for him, and I don't think I will. I am probably going to scrap him for a different character with similar abilities. Same as the above no-name: I don't think I will create a backstory for him. This build was really a practice on ab articulation, and I don't have a spot for him in the fan fic. Plus, his arms fall off super easily, so I would have rebuilt him anyway. The arms are boring, and the torso isn't too great, but the legs are pretty nice. 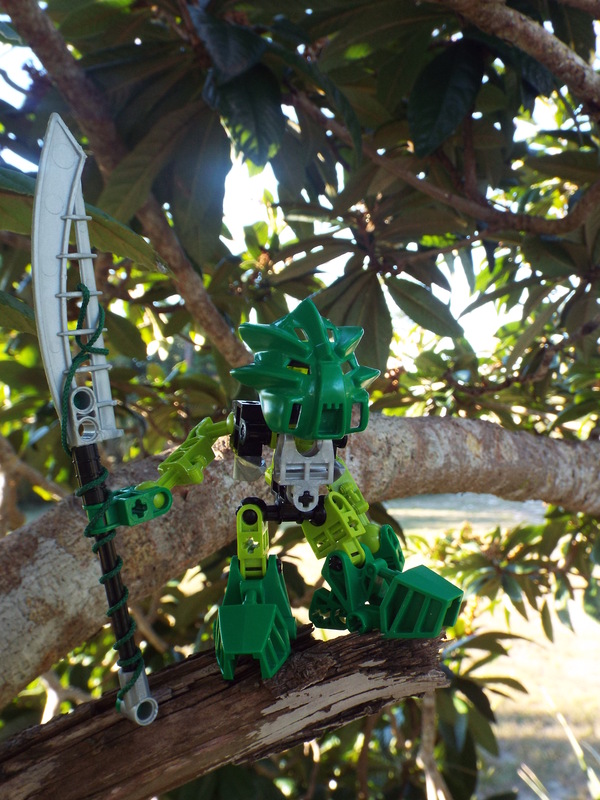 I might use some of the designs in him in other MOCs. I also have an album the other pics I took, as not to spam the page with pics of the same things. It also has pictures of the backs of the MOCs, in case you are into that sort of thing. Revamp of Tundi. People on another forum told me she didn't have enough blue. I fixed that. Decided that I didn't like Korva's original shotty. Made a new one. Bonus points for being able to reload it. Black/Grey/Gray = Earth; Earth = Underground. Guess what I used as a background for this one. http://imgur.com/gallery/eWPUc for more pics. http://board.ttvpodcast.com/users/streak1/activity for more details. It basically shows a Giant Tails sitting on the Moon next to Earth, saying hello to everybody. Tails, The Space Map, Earth and the Moon are assets from Source Filmmaker. Everything else is edited with Paint.Net. The Atmosphere from the Earth is not edited and is instead a Particle Effect from Source Filmmaker. Just remembered that this is a thing: a scene I made in GMod when I first got it. The only one I have made, though, so I am not nearly as into it as Cusuno is (not the same software, but same idea). I play GMod for Prop Hunt. Used a map from HL2, a citizen model, and a custom Combine model from the workshop. If I remember right, I think the model called "Phoenix Squad" or something, and is part of a larger pack of custom Combine models. No idea what the pack is called, but it is pretty highly rated. No context really, aside from the obvious HL2 theme. It is what you want it to be. Here is something I made in Garry's Mod. However, I plan to make more work like this later in the future. There are many more things, which I do (huge Warhammer40k Space Marines Dark Angles army, cooking and baking stuff, desining boardgames, modifying boardgames, playing around with Arduino (microcontroller)...). 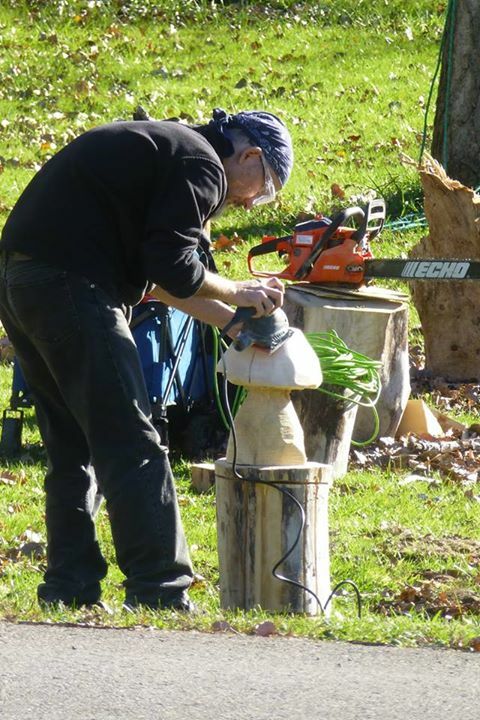 Unfortunately I made less pictures of these projects.